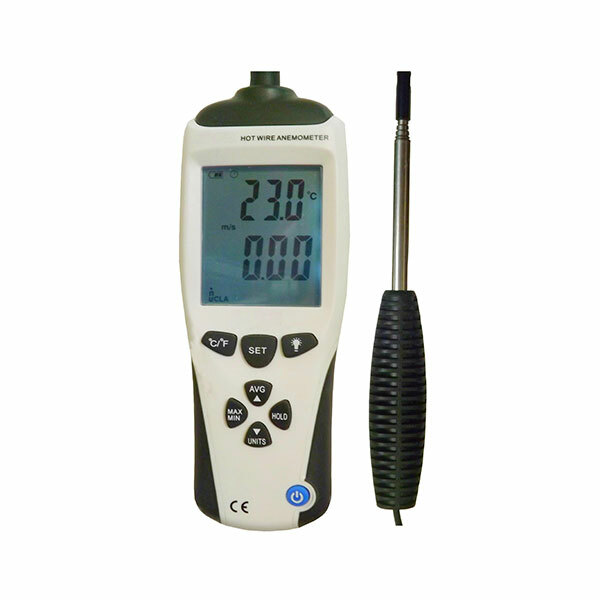 The Precision HVAC Hot Wire Anemometer is a lightweight instrument that can be used anywhere to measure air velocity. 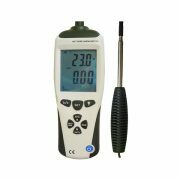 It uses the latest technology (combination of hot wire and thermistor) to detect air movement and temperature simultaneously. 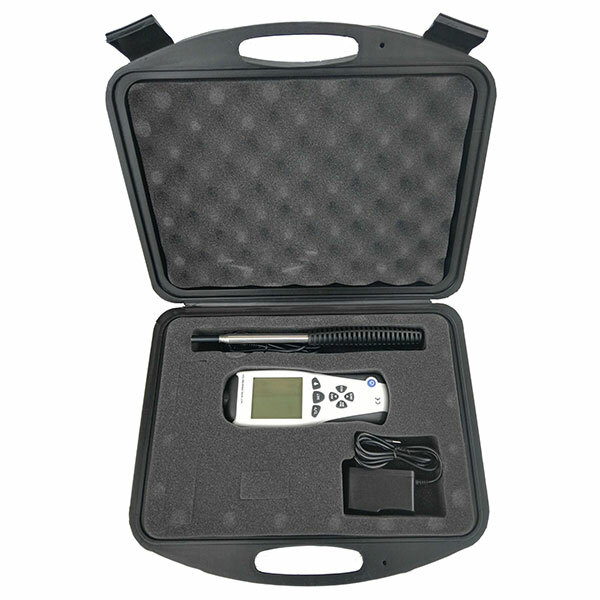 The slim design sensor probe is used to deliver very accurate measurement consistently in prompt response time even at very low movement situation. This meter uses the telescoping probe, applications include hood velocity, clean rooms, OSHA compliance, ventilation ducts and outlets, heating and air – conditioning, wind tunnels, product development, air – flow research and mass – flow measurement in ducts. The standard probe length is 130mm (excluding handle) which can be extended to approx. 910mm maximum upon application. In addition to features like sizable LCD display with highly visible backlight for the dark environment, Max. / Min. / Average data recall and hold functions, the meter can be recalibrated at ‘zero’ data from each start of operation in a bid to maximize its accuracy. 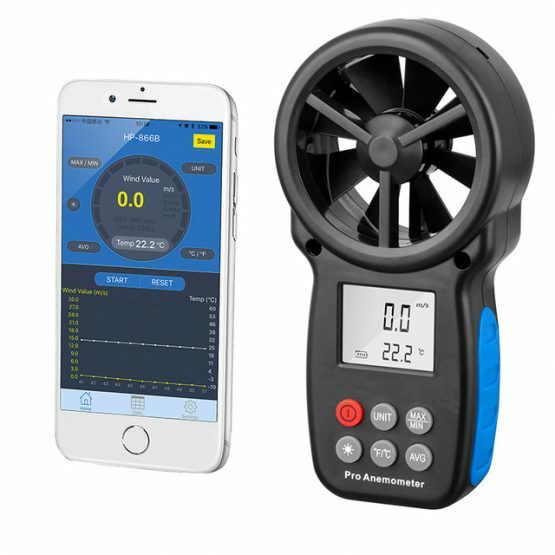 It is a high quality and outstanding device for HVAC industries, ventilation survey, air conditioning, air balancing and environmental monitoring. 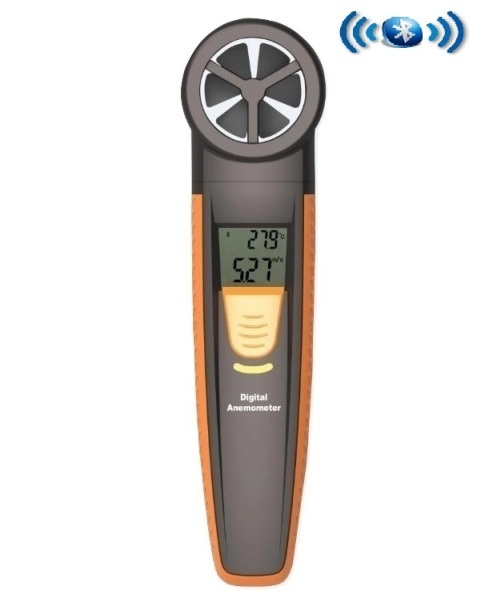 The Anemometer, Temperature and Humidity Meter is a well-designed and light weight handheld anemometer that’s so exceptional among the range in market. It concomitantly measures the wind speed, temperature and relative humidity with instant response. 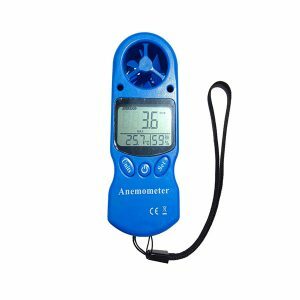 This anemometer meter is a portable, professional measuring instrument with large-screen LCD and backlight, multi-unit switching functions. Absolute & relative pressure altitude etc.